It is yet again time for the team van go beer review!!! 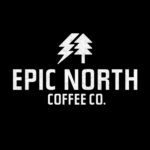 This edition takes place from the beautiful island of newfoundland. The beer being reviewed is by a local microbrewery by the name of Quidi Vidi. 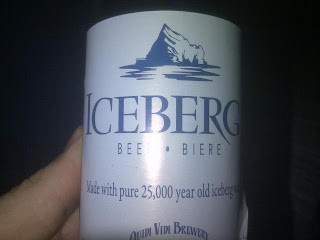 The Iceberg beer like its name uses water from a real iceberg. Yep a real iceberg! If you are ever in newfoundland you must stop by the brewery for a tasting. The beer comes in a nice blue bottle which makes it visually appealing. When you pour the beer in a glass it has a very light appearance. The taste, what can I say about it. ….. well awesome or fantabulous come to mind!!! Not hoppy at all but has a very smooth summer flavour. Just a pleasure to drink. Smell.. well I never did smell it I just went straight to drinking…. im gonna assume it smelt like a glacier…..
Was the beer hoppy: nope not at all.